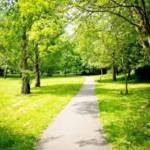 Chipping Sodbury, Yate and the surrounding areas have many open spaces and parks to enjoy. Whether you are cycling, going for a run, taking the children for a picnic, walking the dog, or just wanting to unwind there are plenty of places to go. Check out our Walking and Cycling page for more ideas for getting outdoors. Jubilee Park in Chipping Sodbury is a small riverside park close to the centre of Chipping Sodbury. Wapley Bushes is a nature reserve in Yate. 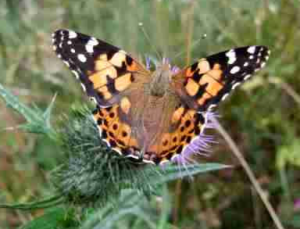 The warmth and exhilaration of flower rich meadows, secretive ancient woodlands and wooded grassland plateaux are all found on a visit to Wapley Bushes Local Nature Reserve. There is evidence of the woodland being ancient, which means that the land has been wooded for at least 400 years. This is indicated by a number of flower species which are often found growing in woodland of this age. Among these are bluebells, dog’s mercury, wood anemone and yellow archangel. The woodland was left unmanaged for quite a long time, so the woodland canopy is made of fairly even-aged ash trees. The instability of this was seen during the storms of 1990 when areas in the middle of the wood were blown flat. Ridge Wood is a local nature reserve. As its name implies – is a tree-covered wedge of high ground that marks the boundary between Yate and Chipping Sodbury. Part of this woodland is believed to be ancient, but in past times, much of this landscape is likely to have been far more open. 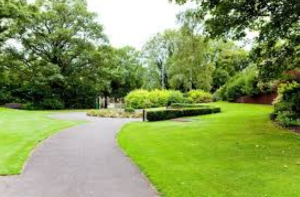 Millennium Gardens offers seating in pleasant area a short walk from the town centre. Leave the High Street along the road towards Wickwar. Keeping to the footpath on the right hand side will take you to St Johns Way. Cross the road and go through the gate into the Millennium gardens. 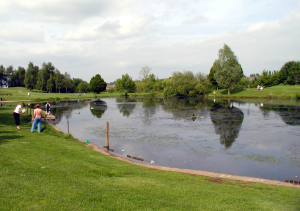 Kingsgate Park in Yate has open space around the lake, picnic benches and a adventure playground area for the children. The park is host to various events throughout the year including the popular Yate Rocks Music Festival. Chipping Sodbury Common used to be all bushes in the 1930’s before the war. But then it was turned into farm landfor growing cereal crops,because of the need for food during the war. Cows graze on the Common from 31st of May -31st November.You find Friesian cows, hefiers young cows, and bullocks.The golf course was put on the Common just after the war.The holes on the golf course have been fenced off because the cows graze by the holes,and the golfers have to climb over the fence. There is very little housing on the common it is mostly farm houses.There is a lot of dairy farming and people use the Common for outdoor recreation such as golf, walking picnics,riding and jogging.